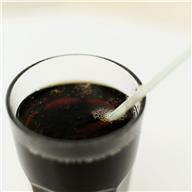 Home » retirement tips » COLA is More Than a Fizzy Sweet Soda Pop! ‘COLA’ in the Social Security world stands for ‘Cost-of-Living Adjustments’. Maybe not as tasty as the cola we’ve grown up to love, but very important as it affects your Social Security benefits. Every October, the Social Security Administration announces the amount by which monthly benefits will be increased starting that following January. This COLA is based on the increase in the Consumer Price Index from the third quarter of one year through the third quarter of the following year. As mentioned in our last post, “Are You Applying for Social Security Too Late or Too Soon?” retirees can delay their benefits to increase their benefits. These COLA’s also apply to those retirees, meaning their primary insurance amount (PIA) will be increased each year by the amount of the announced COLA. There is really no way to know exactly what COLA’s will be year over year, but inflation does apply. The Social Security trustees estimate annual inflation adjustments of 2.8% under their intermediate-cost scenario. So even though it’s hard to pinpoint exactly, it’s definitely something you want to factor into your retirement planning. Access the Retirement Earnings Test Calculator on the Social Security website: http://www.ssa.gov/OACT/COLA/RTeffect.html to get a better idea of where you stand. If you need further assistance in your retirement planning, feel free to contact me at dmcmurryiic@msn.com. By Doug McMurry, Integrated Insurance Concepts, LLC in retirement tips, social security, social security benefits on June 4, 2013 .